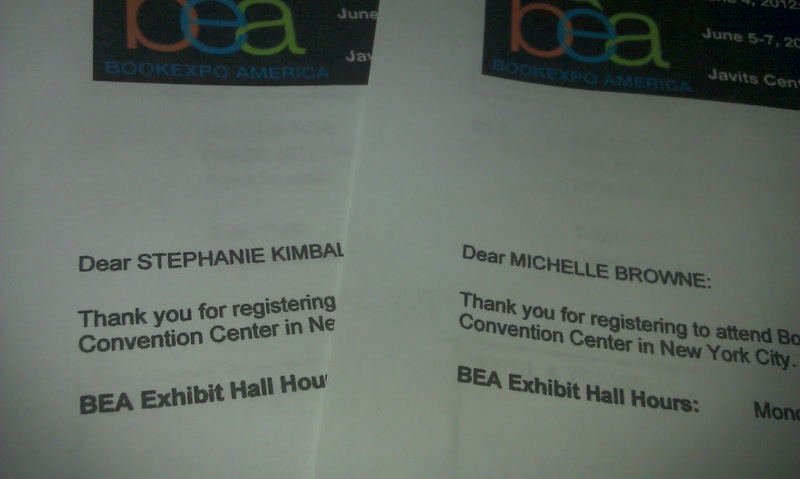 Book Expo America is right around the corner! 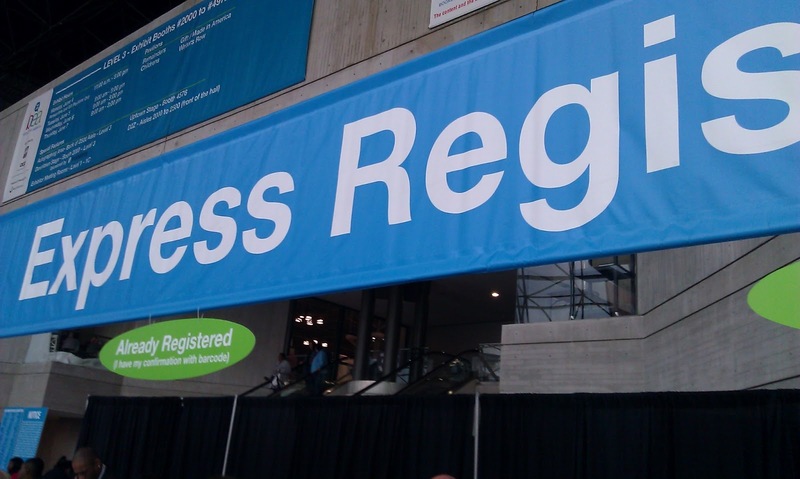 In an effort to get our team prepared for BEA (now that we have finally recovered from last year), I thought Michelle and I could share a few lessons learned as well as some tips for beginners to the event. "BookExpo America (BEA) is North America’s largest gathering of book trade professionals attracting an international audience. It is organized with the support of association partners including the Association of American Publishers (AAP) and the American Booksellers Association (ABA). BEA is recognized for the media attention it brings to upcoming books as well as for the notable authors it attracts to the convention itself." 2. Should I attend BEA? While you have to consider the expense - getting to NYC, hotels, meals, entrance and special ticket fees, shipping books home - the experience itself is priceless! If your business is books (or your side business), as a book lover, BEA is something you should experience at least once in your life! I can't even list the many authors we were lucky enough to meet last year, as well as, fellow bloggers, publicists, librarians - plus all of the books (ooohhh the books...more on that later)! If you're asking if it is worth the expense, the answer is absolutely, YES! 3. Ok, I'm sold! How do I sign up? From the registration landing page (after you click the orange button) you will see options (links in the text) for "badge categories" and "pricing." If you take a peek at the badge catagories and scroll halfway down, you will see "Non-Editorial Media" - that's you, fellow book blogger! However, if you look at the pricing chart, you will see "Book Buying Professionals" and "blogger" is listed there. So, that is your price. Confusing, non? So...if you are ready to commit, then click the link "Register here" at the top of the page (in orange text - natch) and fill out the form. Be sure to put Non-Editorial Media - Blogger and provide a link to your website for verification. 5. Woohoo! I'm in!!! Now what? Hotels will book up quickly surronding the Javits Center (where BEA is held) and honestly that area of town is not necessarily the most exciting to hang out in after the conference doors close. If you are a first timer to the city, I suggest taking the tried and true touristy route of Times Square area so you can see all of the sites. BEA has deals with area hotels that you can check out here. They also provides shuttle buses to and from these hotels at no charge - easy peasy! 6. Where's my badge? How do I get in? Your badge will not be mailed to you. 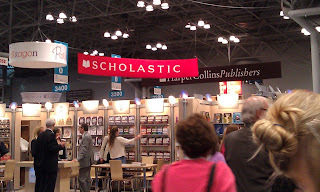 You will need to pick it up at the Javits Center. You can do this the first day of the conference, but I would suggest (if you are in town) to pick it up the day before. The Javits will be open for that purpose and people will be getting set up for the next day. The Remainders and Sidelines Pavilions will be open Wednesday from 11-5, but the main Exhibit Hall will be closed. We found it very helpful to avoid the lines and have our passes in hand ready to go for the first day of the Expo. Goodreads Book Expo America Group - You have to ask request membership, but this is a great sourse of hot-off-the-presses BEA scoop and tips! Part Five- I'm Here, Now What? Part Six- What to Do With All of These Books? Don't forget to check out Steph's Stacks BEA 2014 page for the latest news and tips! Hope to see you there! If you want to meet up, feel free to let us know in the comments! Thank you for sharing. I am so very inspired by your story. I have a mountain of student loans and other consumer debt that is screaming at me and that I need to pay off. After making a mess of my finances, I woke up and wanted to be home with my children. I’ve been home for 4 years, but have to get from under this mountain. Your post was filled with great information. It’s a lot to digest, but will definitely save this to reference over and over as I move forward. Fantastic post, ladies!!! I love that you're doing an in-depth series of posts for people to read! Absolutlely love this! Thanks so much for this advice!!! 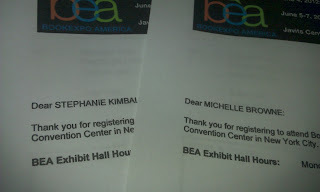 I am now scouring all of your awesome BEA posts to overload myself on info for my first trip to BEA!